Under the conditions of RIPE/ARIN, we are required to check how you use your IPs. need 4 ip's we do resell servers and we have contacted the client and the use of ip's was for to provide data base web hosting and webmail service to their clients. We have increased the IP order limit to 32. 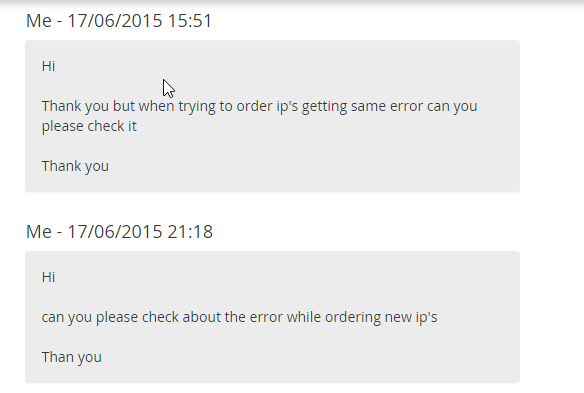 You can now order additional / fail-over IP addresses.